A U.S. complaint over India’s solar program is the second of its kind in a year. 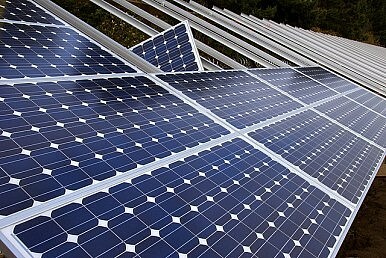 India and the United States are engaged in a trade dispute at the World Trade Organization (WTO) after the U.S. filed a complaint that India unlawfully restricts imports of solar equipment by requiring indigenous manufacturers to use domestically made solar cells and modules. According to Bloomberg, the complaint is the second lodged by the United States “against what it called India’s ‘unfair barrier to U.S. exports’ of solar components.” India’s solar program aims to lessen the impact of chronic energy shortages in the country and expects to double India’s renewable energy output by 2017. Indian Commerce Secretary Rajeev Kher stated in response to the complaint that India’s “current policy is WTO-compliant.” He also noted that India would participate in consultations on the matter should the United States initiate them. India’s Commerce Minister, Anand Sharma, added that the import restrictions on solar equipment are justified because phase II of India’s solar program includes major government subsidies and public money shouldn’t be used to pay for imports. “These domestic content requirements discriminate against U.S. exports by requiring solar power developers to use India- manufactured equipment instead of U.S. equipment. These unfair requirements are against WTO rules, and we are standing up today for the rights of American workers and businesses,” U.S. trade representative (USTR) Michael Froman told reporters. According to the Wall Street Journal’s Livemint, this is the second dispute over India’s Jawaharlal Nehru National Solar Mission. The U.S. Trade Representative issued its first complaint against India’s solar program in February 2013 and requested consultations over its first stage. The trade dispute comes shortly after a diplomatic row that began in December 2013 over the arrest and treatment of an Indian diplomat in New York City. The ensuing spat brought U.S.-India ties to their lowest point since India tested a nuclear device in 1998. The United States’ image in India declined significantly amid public protests and a broad media campaign criticizing the manner in which American authorities handled the arrest of the diplomat. Following that incident, several U.S. delegations were forced to cancel scheduled visits to India and diplomatic ties suffered. Froman noted that the complaint was separate from the overall U.S. bilateral relationship with India and was a dispute over a specialized trade topic. “Today’s action addresses a specific issue of concern and in no way detracts from the importance we attach to this relationship,” he said. Trade between the U.S. and India measured $63.7 billion in 2013. Even prior to the dispute involving the Indian diplomat in New York City, U.S.-India ties regularly hit road bumps over trade issues. India generally pursues a somewhat protectionist agenda at the World Trade Organization and other forums, seeking to shield its domestic industries from foreign competition. The United States has urged India in the past to allow for fairer competition and non-discrimination against imports as per WTO regulations. According to Livemint, there are 14 total past or current cases at the WTO involving the U.S. and India.